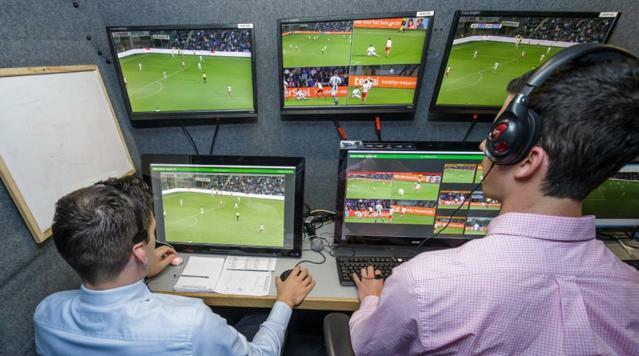 For the first time, the Video Assistant Referees (VAR) will be applied for the finals of this season’s Confederation of African Football (CAF) Interclubs competitions; Total CAF Champions League 2018 and Total CAF Confederation Cup 2018. This follows the approval of the CAF Executive Committee at its meeting on 27-28 September 2018 in Sharm El Sheikh, Egypt. The decision comes after the success of the premier implementation of the latest refereeing technology during the Total CAF Super Cup last February between Wydad Athletic Club (Morocco) and TP Mazembe (DR Congo) in Casablanca. “This is a historic moment for African football. It clearly shows that CAF is determined and committed to the interclub competitions and will bring on board the latest and innovative technologies to make it better. “We (CAF) are the first confederation to use VAR in the final of the Club competitions. We did it for the CAF Super Cup and we are delighted to go a step further with the Interclubs competitions,” said CAF General Secretary Amr Fahmy. In the build-up to that, a preparatory course has been scheduled for 24-29 October 2018 in Cairo, Egypt. In attendance will be 12 elite match officials (six referees and six assistant referees) to be supervised by David Elleray, Technical Director of the International Football Association Board (IFAB).